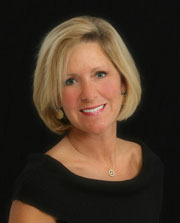 Dr. Susan Maples was named one of the Top 25 Women in Dentistry and a Top 8 Innovators in Dentistry. 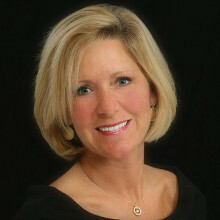 She brings preventive and restorative dental expertise, a passion for mouth-body total health, a master’s degree in business/marketing, and 30+ years of experience in private practice. Michigan, where I practice, is the poster child for the economic challenges currently facing our country. Our state also ranks eighth in the listing of fattest U.S. states, according to US Centers for Disease Control. Combine these two factors and it’s clear that there’s an opportunity to educate children about sound nutrition before the onset of costly medical problems spurred by obesity. Let’s roll up our sleeves and help in the fight. Here’s how….. Through a radical paradigm shift in our practice’s approach to children’s health, we boosted our team morale, inspired an influx of new patients and began making a significant contribution to children’s oral and nutritional health. We designed and implemented a SCIENCE Hands-On Learning Lab ™ that begins with a self-prophy model and includes 40+ science experiments to go with it. Very quickly we became the talk of our community—in a positive way. You can do it too! Our aim for children, not unlike yours, has remained clear: to help kids graduate from high school with skills and behaviors for a lifetime of dental health. During the last decade, we have witnessed more and more kids missing the mark, with increased decay and reduced plaque control. But something else was disturbing. Along with rising consumption of sugar-laden beverages and junk food came a decrease in physical activity and a marked increase in body fat storage. I wanted to address obesity with my patients also—just like 51% of you do, according to a recent JADA cover article (Curran et al, Nov 2011). But few dentists are ready for that. Why? The reasons cited for not addressing obesity include lack of sensitivity training, expertise and effective tools to do so. Dental caries and obesity are clearly the two greatest health risks for kids, and both conditions are 100% preventable. Nutrition problems are not just a dental issue but a public health issue that will fall upon an already crippled health-care system. So who is listening? Not our young patients, unfortunately—and herein lies another challenge. We “talk” our message to kids, but our words often fall on deaf ears. Generation Z is socially distracted beyond measure, preoccupied by whatever hand-held “app” they last loaded. Perhaps none of our brains are wired for teach-and-tell learning, but these kids are especially tuned out to the drone of an authoritarian teacher. Looking for a breakthrough, we decided to put learning into their own hands. For more information on the SCIENCE Hands-On Learning Lab ™ visit www.HandsOnLearningLab.com.